When you need safety eyewear your workers will be happy to wear, trust the respected Smith & Wesson name. The Smith & Wesson 38 Special Safety Glasses are compactly designed and have a variety of lens and frame options. 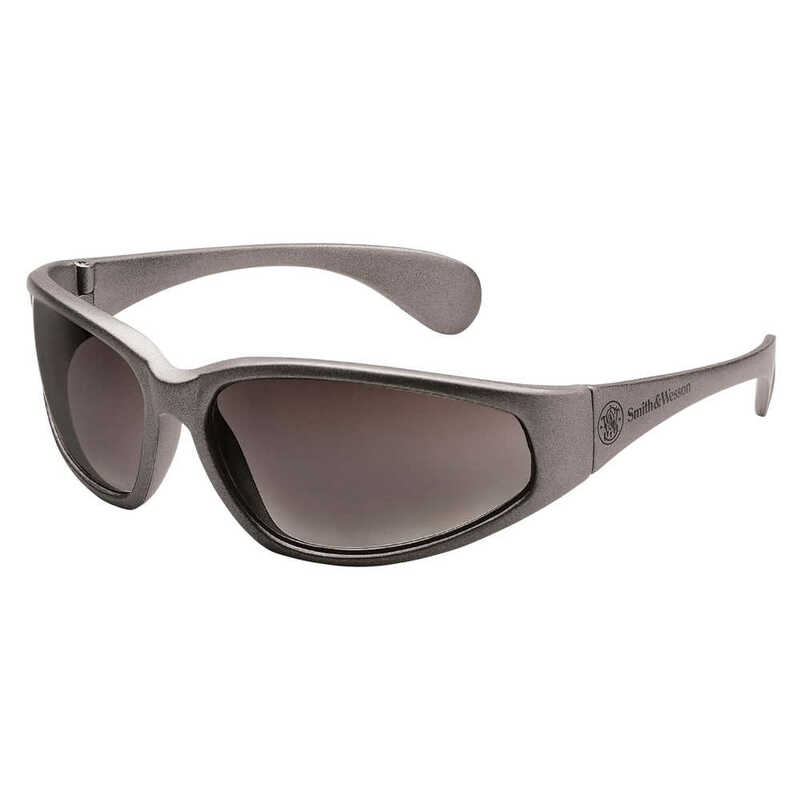 This model features metallic gray frames with gradient smoke lenses, which are darkest at the top and become progressively lighter to protect eyes from the sun while allowing greater visibility at the bottom of the lens. No matter what kind of work environment you have – from indoors to outside – you can find a lens that works for your team. Smith & Wesson 38 Special Glasses have ergonomically designed temples with rubber insert temple tips for a soft, snug and secure fit. They are a great option for all-day comfort. The 8 base curve lenses are hard coated for scratch resistance and longer life. Plus, they offer 99.9% UV (UVA / UVB / UVC) protection and meet the “high impact” level for the ANSI Z87.1+ standards for personal eye protection.